EMM performed an audit on its top 3,500 beneficiary URL’s. This audit has produced a “privacy” color scheme for 139,000,000 of our double verified records. This audit has produced an exclusive “privacy” color scheme for 139,000,000 of our double verified records. Unique as a feature among EMM’s email assets is the unique traffic data accompanying each published record. Other vendors call this “Source URL”, you often see it as proof of “opt in” or “double opt in” when a list salesperson is perhaps overdoing it a bit. EMM performed an audit on its top 3,500 beneficiary URL’s. The results are interesting, before we get to that though let’s lay down some base knowledge. What is a B2C URL? A B2C email form submission that EMM might purchase and then supply to a marketing services company would at minimum capture an email submission, the IP address from which that submission came, the URL of the traffic beneficiary and the time and date of the occurrence. Why do we retain it? As proof that the origination of the record was not a scrape, manufacture or dictionary attack, per CAN SPAM compliance best practices. For data validation and compliance. EMM desired to discover which URL’s were suboptimal for this purpose and which we should seek to replace with alternate proof, thereby increasing the marketing safe segments of the dataset. Here’s an example: chooseyourcolor.com. There are 600,713 emails in EMM's double verified B2C email file for this URL. The URL is inactive, and it’s robots.txt file did not allow it to be archived so there is no record of its content. Could this record have been scraped? It’s possible. In combination with the IP address being logged, that’s less likely, though the IP could be fake. A cautious email marketer would pass on this record. A display marketer or an analytics user might want it. This audit has produced a “privacy” color scheme for 139,000,000 of our double verified records. EMM will seek over the next six months to replace lower tier colors with higher tier colors by using duplicate email records to replace this information with stronger proof of compliance. See "EMM Privacy Scheme" attachment for full details. This new compliance data, along with accompanying email records (including name, street address, basic demographic information and more) with relevant filters for your application is available from EMM for license. 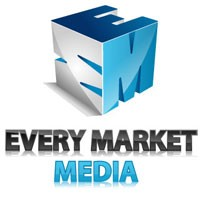 To speak with a data expert and find out more, contact EMM here or email us directly at marketing(at)everymarketmedia(dot)com.